You've found the “U.S. Polypay Sheep Breeders” page here at Hobby Farm Wisdom! If this is the first time you have visited our site: Welcome! 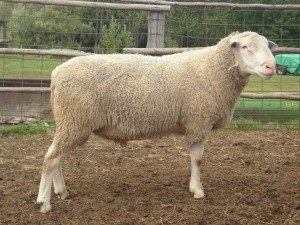 Polypay is a dual-purpose breed of sheep that was developed by Dr. C. V. Hulet and the U.S. Sheep Experiment Station in the 1960s. Dr. Hulet had 5 main goals when developing this breed, including high lifetime prolificacy, rapid growth rate of lambs, ability to lamb more than once per year, large lamb crop at one year of age and desirable carcass quality. To achieve this, he took Finnsheep, Dorset, Targhee and Rambouilet.